This Wednesday's afternoon has opened at the Hotel Virxe da Cerca a show starring different artistic works inspired by the Camino de Santiago among which visitors can find photographs, sculptures and pictures. The exhibition combines different artistic styles and has the particularity that visitors can acquire the works of artists. On the side of the paintings, in the exhibition you can find works by Peña Romay, Mila Vázquez and Marcos Real; For that of photography, snapshots of Toño de López and Isabel Alonso; And finally as far as the sculptures, we will find works by Óscar Aldonza, Luis de las Cuevas, Camilo Seira, Francisco Pazos, Andreas Ruiz and Machús Segade. 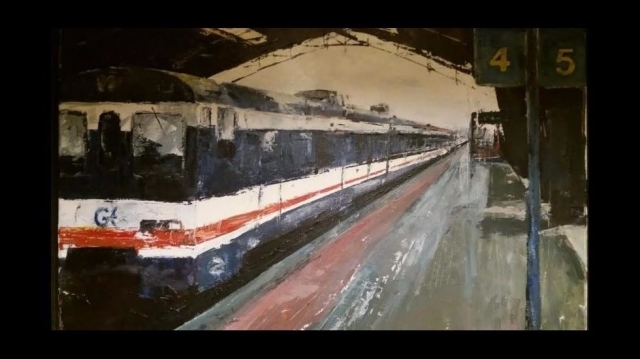 In addition to the exhibition, Xavier Carrasco will also be the protagonist, who presents a sample of snapshots about the city of Santiago de Compostela.